This weekend at downtown’s popular Arts District, The Springs is having a weekend marketplace featuring artisan and handcrafted vendors on Saturday, July 18 from 11 a.m. to 6 p.m. 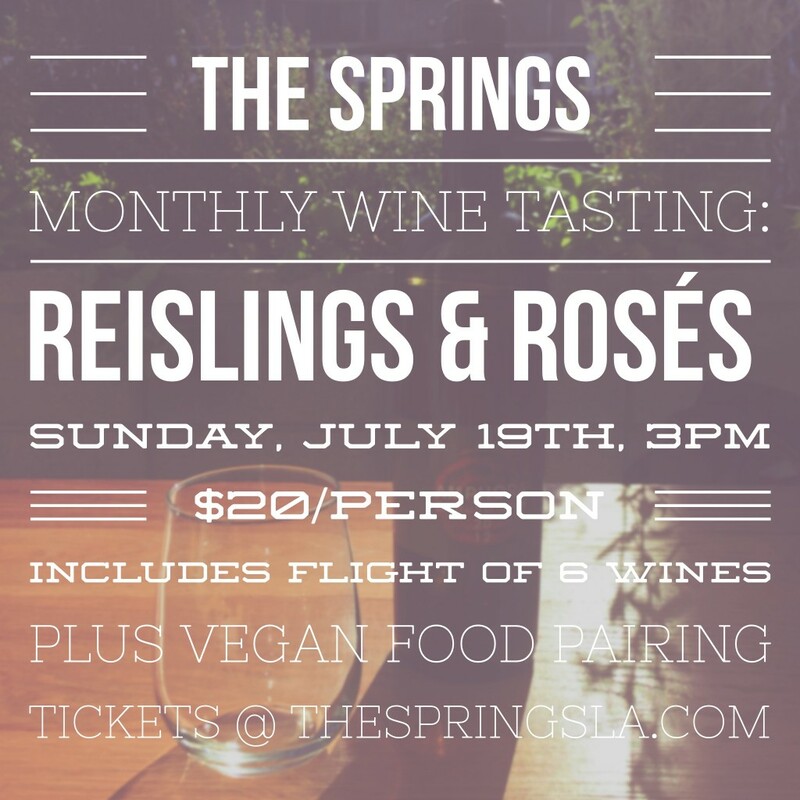 The next day, The Springs is hosting an informative Vegan Wine & Cheese Tasting. The fun starts on Sunday, July 19th at 3pm. Sommeliers will pour six different Summertime Rieslings and Rosés flights paired with house-made vegan cheeses. Jared Stein and Kimberly Helms created The Springs as a one-stop-shop for wellness, offering healing massage, infrared sauna treatment, and relaxing yoga. Book a session before or after visiting the marketplace or the tasting. The cafe offers a full menu of raw, vegan dishes including Sweet Corn Ravioli, Polenta, and Spicy “Tuna” Rolls. Tickets can be purchased for $20 at TheSpringsLA.com or by emailing tickets@thespringsla.com.